Playskool Sesame Street Racers (Super Grover and Cookie Monster) Just $5.99! You are here: Home / Great Deals / Amazon Deals / Playskool Sesame Street Racers (Super Grover and Cookie Monster) Just $5.99! Orig. $11.99! 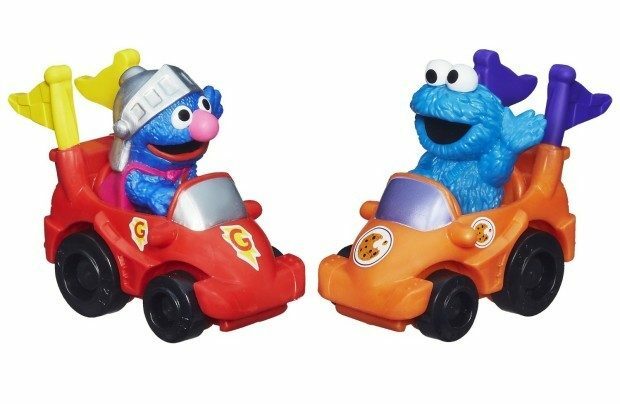 Playskool Sesame Street Racers (Super Grover and Cookie Monster) Just $5.99! Orig. $11.99! Add-On Item Deal! Head over to Amazon and get this set of Playskool Sesame Street Racers (Super Grover and Cookie Monster) for Just $5.99! Perfect for your little ones! Ships with any qualifying order over $25. Get FREE Shipping if you have Prime or on orders of $35+!